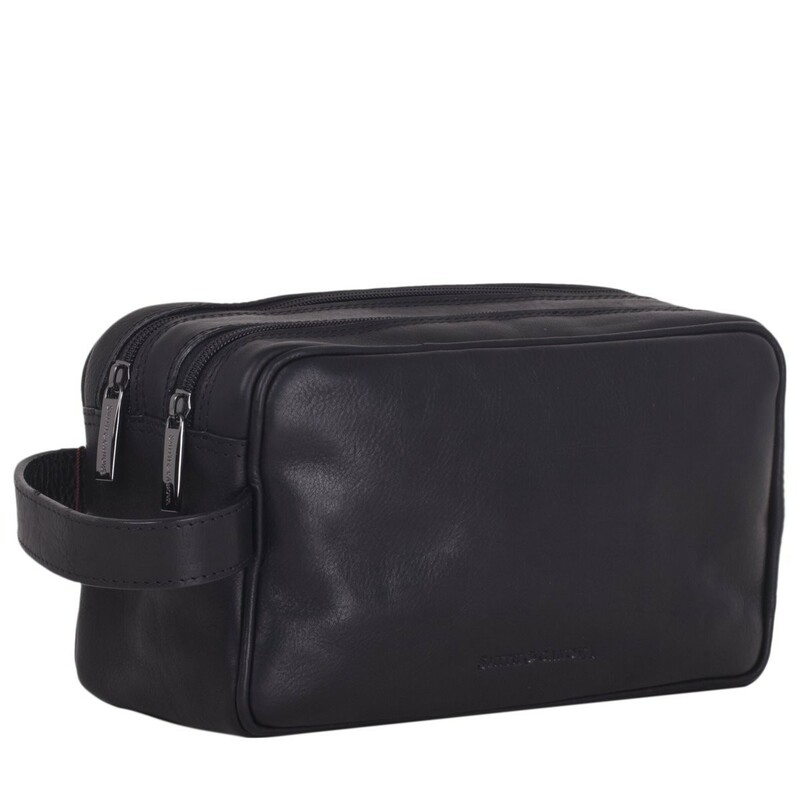 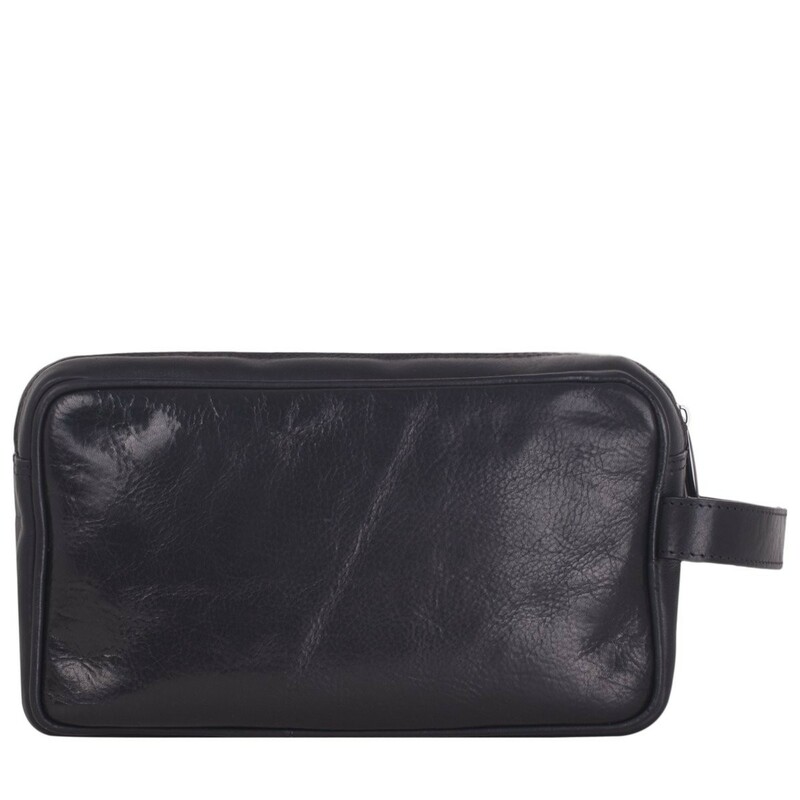 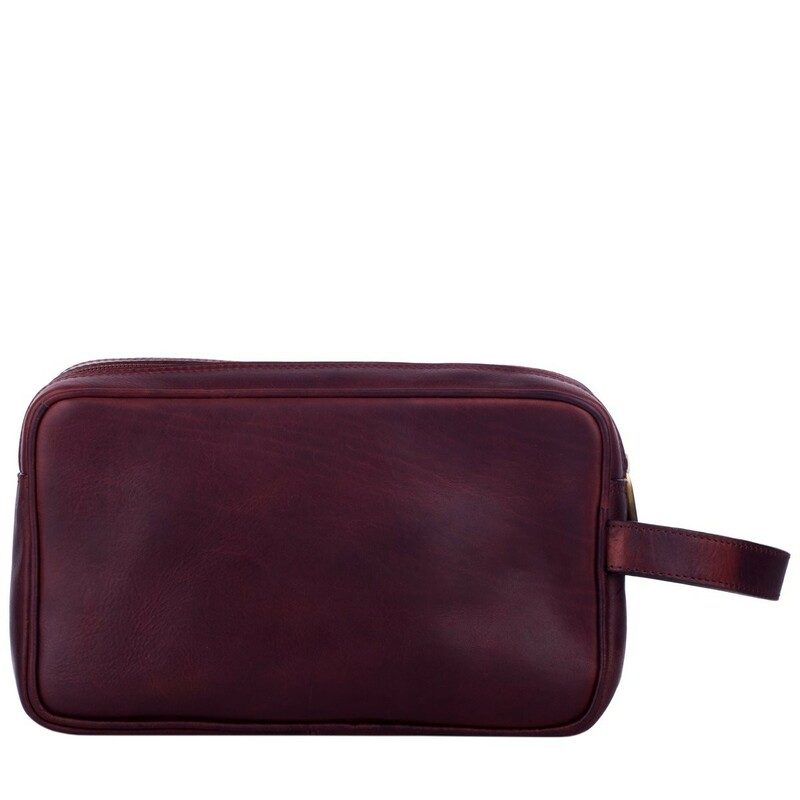 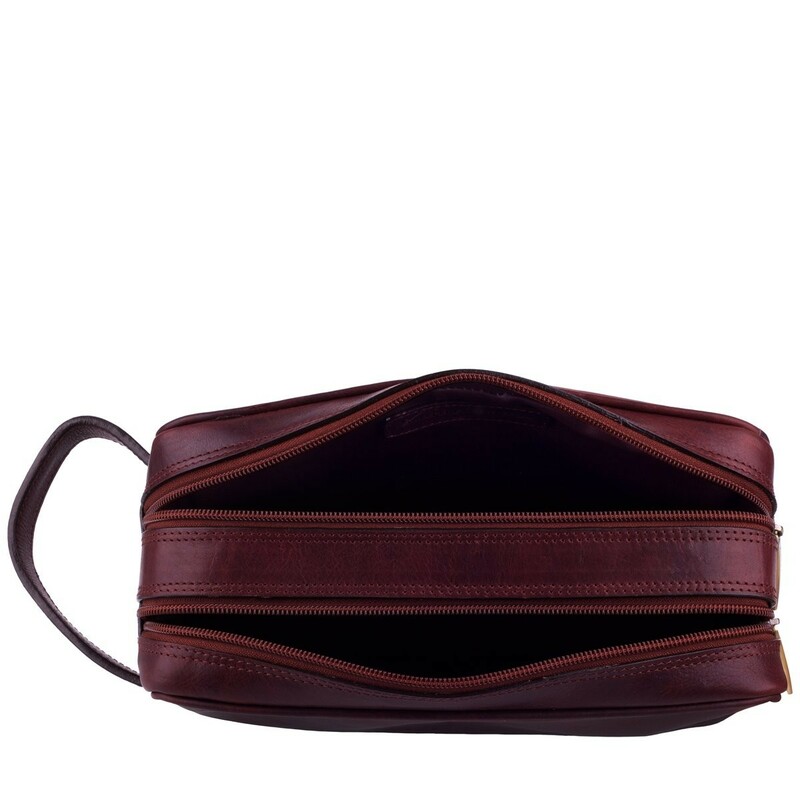 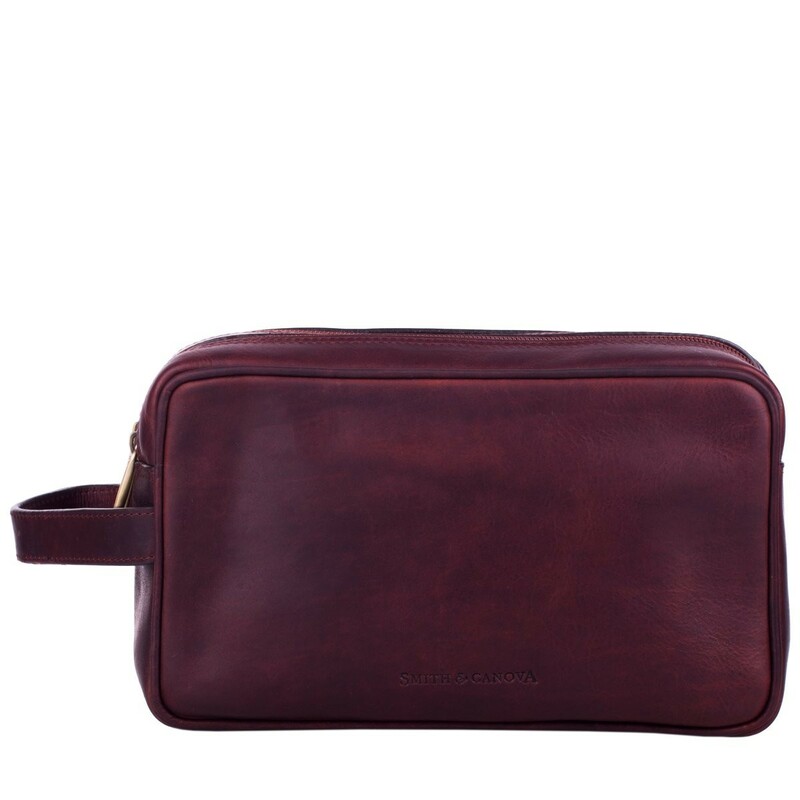 A quality made, smooth leather wash bag. 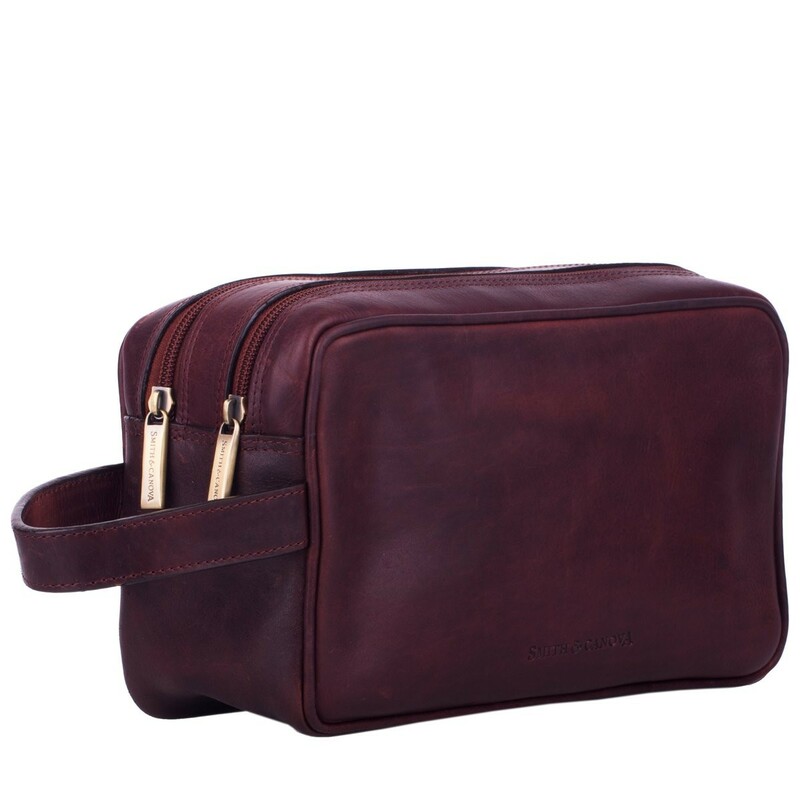 The twin compartments are ideal for sorting toiletries and keeping everything organised. 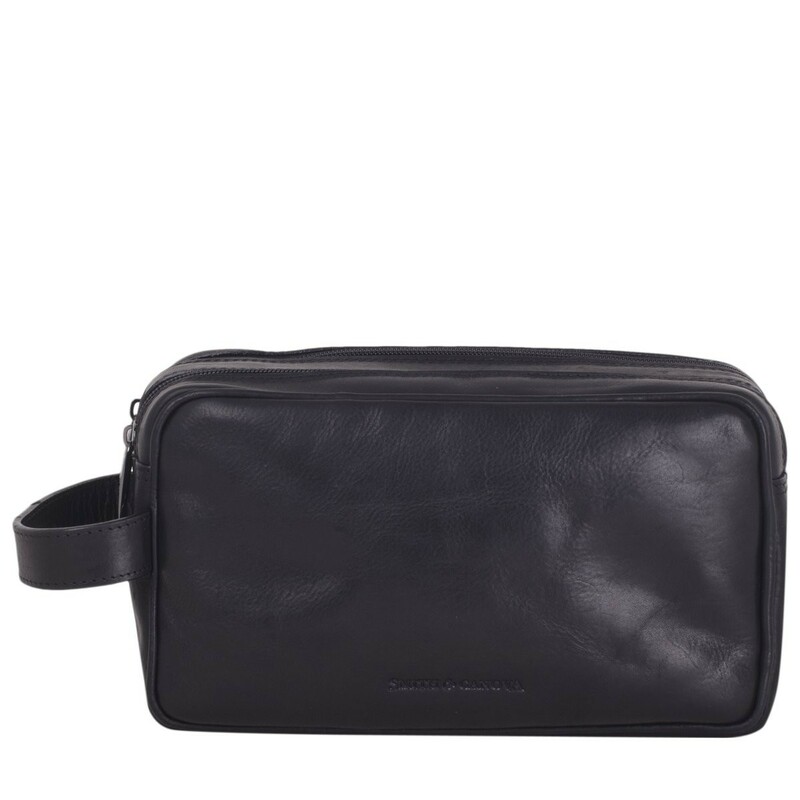 Perfect for travel, or just keeping the bathroom tidy at home.